Bruce Campbell is back in an exhilarating movie that parodies all the clichés of Series B movies! 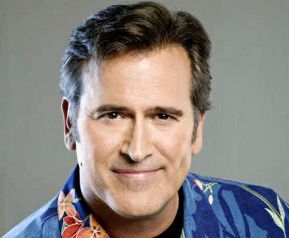 What you have here is Bruce Campbell making fun of him. The actor is well known, overall in USA, for his participation in a lot of classic B Series movies as well as collaborating with Sam Raimi or the Cohen brothers.What you have here is a film with low budget, so do not expect any great special effects. The strong point is to see the performance of Campbell, and how he makes fun of the cinema industry. The plot does not make sense, but that is exactly the goal of the movie, more focused on Campbell´s dialogues. There are quite a few good moments, although I honestly thought that it would be funnier than it turned to be. It is also nice to see how in the end they change the final result. The best: Campbell going through all the empty liquor bottles at his caravan and his dog not recognizing him anymore. The worst: The final fight with the Chinese demon could have been a bit better. The detail: Ted Raimi, brother of Sam Raimi, plays different roles along the movie, like Bruce´s agent, the Sign Painter of the old Chinese man.